Skyline of Amman, Jordan, Nov. 22, 2013 (photo by Flickr user mahmoodphoto licensed under the Creative Commons Attribution 2.0 Generic license). The uprisings beginning in late 2010, known as the Arab Spring, shook the Middle East to its foundations. Yet the Hashemite Kingdom of Jordan appeared to be a virtual oasis of calm in the midst of turmoil. 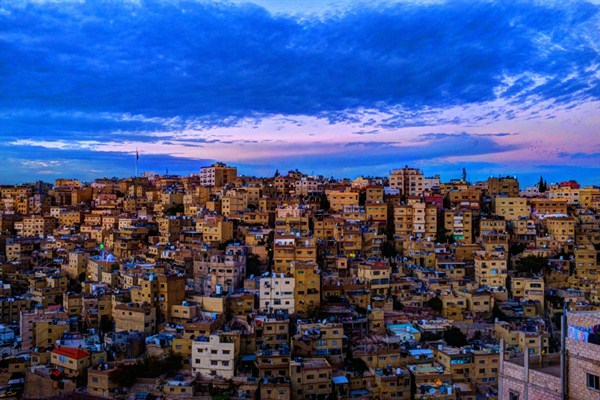 In a volatile neighborhood, Jordanian stability remains nothing short of remarkable. But is Jordan an oasis or a mirage?